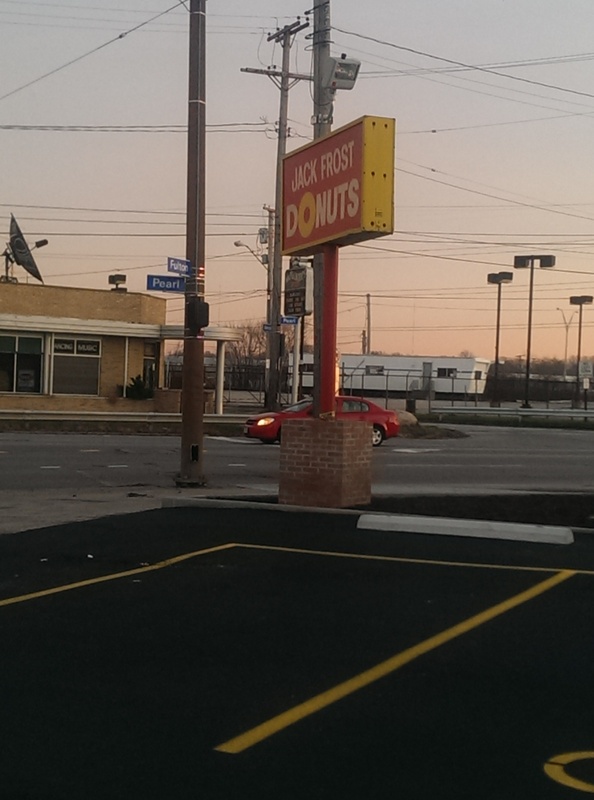 Jack Frost Donuts is consistently the Grand Prize winner in the “NEO’s Best: Donuts,” the Cleveland Hot List, and other “best of Cleveland” contests. 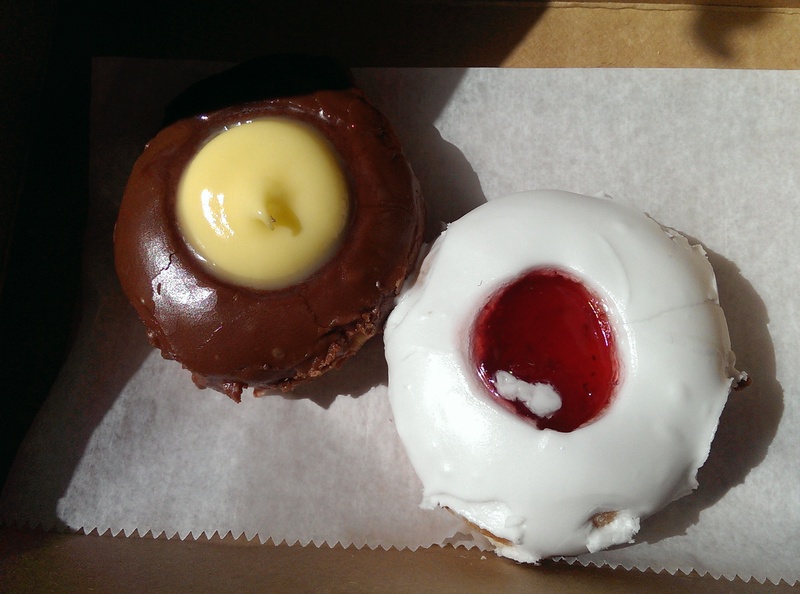 The little doughnut shop on the corner of Fulton Road and Pearl Road in Cleveland’s Old Brooklyn neighborhood has been making doughnuts since 1937. They only accept cash or checks, so come prepared. 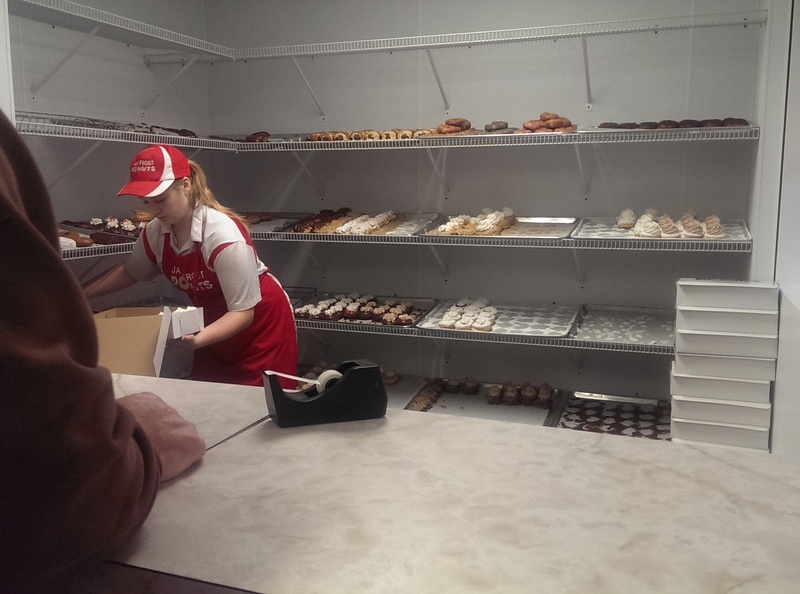 A dozen will run you $10.95, and a half dozen cost $6.95. The doughnuts are fresh and made of quality ingredients. Some are a little sweeter than I prefer, but their pumpkin pie doughnut has made me a fan for life. They have fantastic specialty donuts like salted caramel, key lime pie, maple bacon, and other seasonal creations like said pumpkin pie doughnut (available with and without “cream”). I’ve enjoyed their Boston cream, salted caramel, raspberry, chocolate glazed, maple bacon and pumpkin pie doughnuts during my visits. 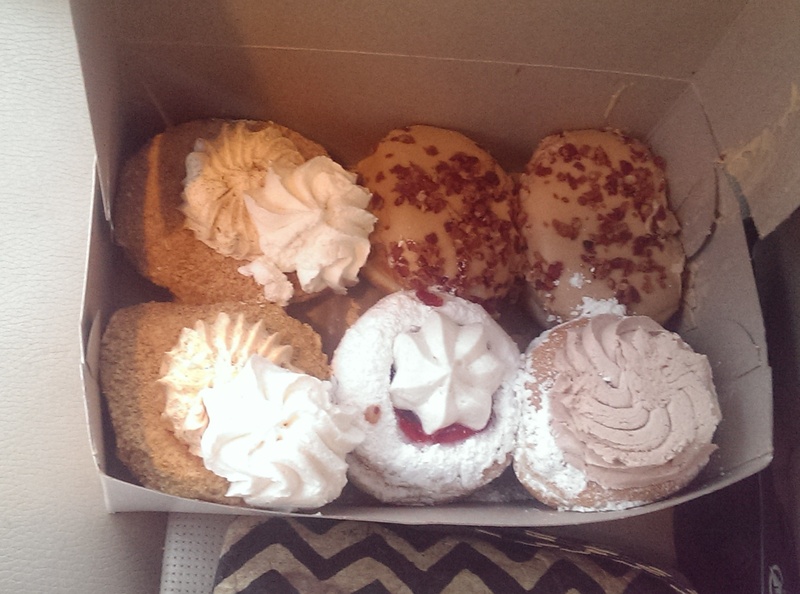 The photo at the bottom features two pumpkin cream, two maple bacon, a strawberry cheesecake, and a chocolate cream. The maple bacon is a nice combination of salty and sweet with fresh bacon bits and maple frosting on a yeast donut. The chocolate cream exploded in a huge flurry of powdered sugar all over me and my car. 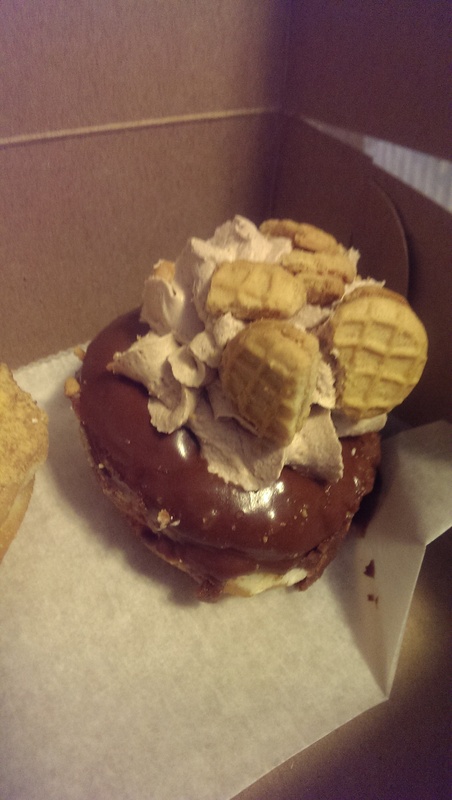 I t was totally worth it, with a big pile of chocolate cream on top. The donuts are fresh, and your teeth just sink into them. I prefer yeast donuts over cake donuts, so I can only attest to the yeast donuts here. They are not overbearing or too sweet. The toppings and donuts have a good ratio. They sell coffee and have a cooler with milk and some sodas if you need something to wash the donuts down with. They are currently renovating their old store, but are located right next door. I can’t wait to see the new place once it opens. It’s a cash only business, so remember to bring cash.